View Inventory Why Buy Certified? Had my tundra towed for a bad battery, Vasillios in service helped me out and got me out and running quickly. If you need service, request Vasillios he's honest and helpful every time I go in for service. I have been meaning to leave this review for over a year now. 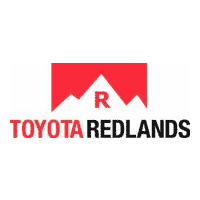 When we were looking for a 2nd vehicle, the people of Toyota of Redlands structured a great deal for us. I never had a chance to thank them for their time and say how much we appreciate what you offered us. We did not take the deal and they probably thought we were nuts. The reason we did not take the deal was because I found another similar vehicle, of a different make, whose rating on a particular function was far more attractive to me peraonally. Though, I was well educated about the car I saw at Toyota and knew it to be a great car as well. I will absolutely return here to get a Toyota when the lease is up on our 1st vehicle that happens to be a Camry, which is a wonderful car. Very friendly and no pressure to buy. Our experienced sales staff is eager to share its knowledge and enthusiasm with you. We encourage you to browse our online inventory, schedule a test drive and investigate financing options. You can also request more information about a vehicle using our online form or by calling (909) 500 - 4111.